The Curious Studio: On tattoos and being vegetarian. On tattoos and being vegetarian. I just recently 'quit' purchasing products that aren't cruelty free. You'd be surprised how many of the products we use in our everyday lives are at the cost of an animal. I thought it would be hard (and expensive!) but man am I glad I live in this day and age where, like I said in a previous post, there is a shift towards positivity. More and more people are trying, nay, wanting to be conscious of the lifestyle choices they make. First, inks. I thank the tattoo industry for coming out with quite a number of vegan inks. I personally use (and love) Fusion and Intenze Inks, both of which are vegan. It should be noted that despite being vegan, these ink brands definitely do not compromise their quality! Make sure to ask your tattoo artist if he has these inks--Fusion, Skin Candy, Intenze and Eternal inks are now easily available in the Philippines. Second, aftercare. After your tattoo session, your tattoo should take around two weeks to heal and during that time, it should be handled hygienically and with care. You shouldn't swim in chlorinated water within this two week period nor should you go to the beach. Neither should you scratch the new tattoo (it will scab)! 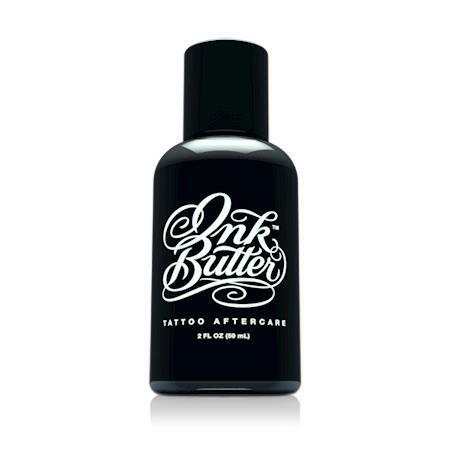 To aid the healing process, to moisturize and nourish your new ink, get your own tattoo aftercare lotion. (Especially if you plan on getting more!) There are a couple of aftercare lotions that are readily available in Metro Manila. I personally use After Inked, which is a paraben-free, non-allergenic, non-irritating, vegan and best of all cruelty free lotion. I recently saw Ink Butter available locally, too. Kinda pricey but that packaging is just lovely. I am Neryl and I want to know if you can recommend a tattoo shop or tattooist which uses vegan inks here in the Philippines. I badly want to get a tattoo.